Dr Sibthorpe is one of the UK’s most forward-thinking cosmetic doctors, with over 25 years of experience of making women look their best. A leading medical practitioner and teacher, he’s in the vanguard of anti-ageing medicine and takes a dual approach to age management – tackling not only lines and wrinkles, but the person from the inside out. Do you have a philosophy when it comes to injectables? My philosophy has always been ‘less is more’. It’s important to make results as natural as possible; especially with animation. You shouldn’t notice any obvious changes, but more of enhancement. By considering anatomical units of the face such as mid-face, eyes, peri-oral, jaws, nose, and by using a scientific, more formulaic methodology one can achieve a very natural result. My signature treatment is ‘Advanced Facial Fillers’; assessing the face from a holistic or 3D view and addressing all areas with a sophisticated treatment plan. Each patient is given a bespoke plan with my recommendations and costs, and are advised to go away and think about it – there’s no pressure to proceed to any treatment at the time of consultation. The secret behind your success? 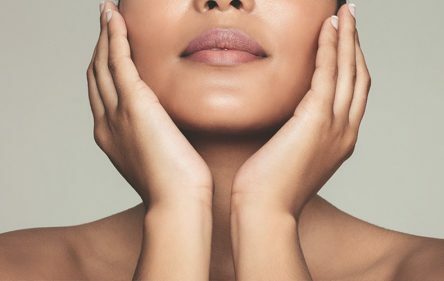 What I’m best known for is my ‘natural touch’ which allows my patients to achieve a relaxed, refreshed appearance while still looking exactly like themselves – that’s why ‘less is more’ has always been my mantra. I spend time with my patients – there’s no rush – each one is given a minimum of 45 minutes, whether they need it or not, and they have access to me 24 hours a day. If I can’t do something I tell them and/or find someone who can do, and if I think they don’t need anything I tell them; even if they try insisting I treat them.